Depending on your specific condition, we may refer you for X-rays as well. Our X-rays are taken by Life University Imaging upon referral. 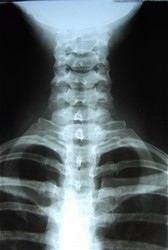 Our office will contact the facility and make the referral and request the desired x-rays on your behalf. This will help us develop the most effective treatment plan for you, and alert us of any serious spinal conditions. Most people are amazed once they see their X-rays up close. In some cases, they can even identify their misalignments and degeneration themselves.